When you talk to most people and ask them what makes a delicious pork chop, they’ll probably instruct you to put a bunch of different herbs, spices, and sauces on your pork chop in order to make it taste delicious. The beauty of pork chops and why they’re so great to prepare is that pork meat easily absorbs flavors, which results in juicy and tender pork chops almost every single time you cook them. Then, all you need is a slow cooker and you’re well on your way to making the best pork chops you’ve ever made. Interested in trying out this recipe for yourself? Check out the tutorial below! 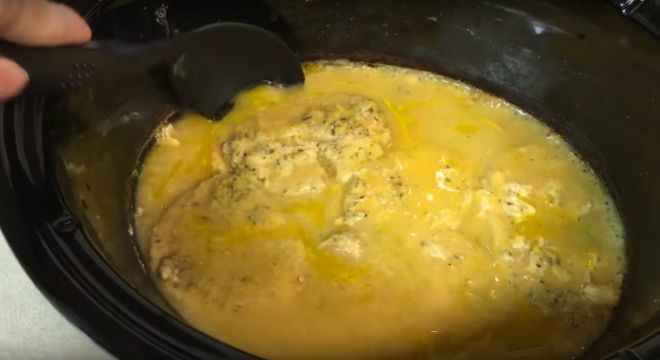 First, start by placing for washed pork chops inside a slow cooker. 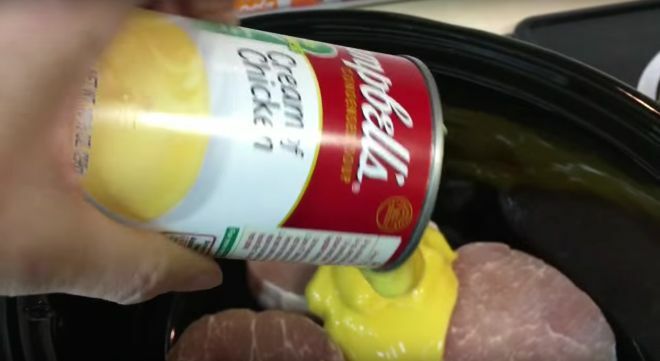 Next, add one can of cream of chicken soup. After, use the empty can to pour an equal amount of water. Next, add in the pre-packaged ranch dressing. 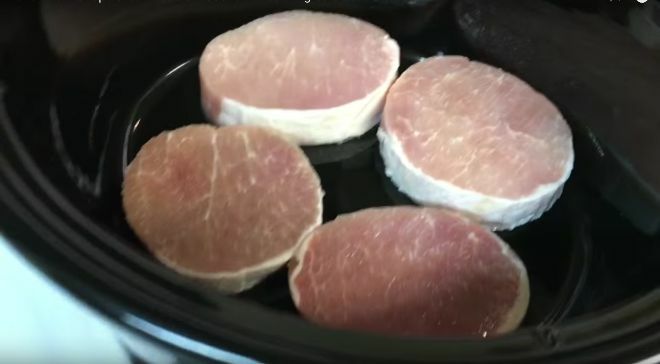 Turn on the slow cooker and let the pork chops cook on low heat for around six hours. Once that’s done, you’re ready to serve some delicious pork chops. Looking at these pork chops just make my mouth water! What did you think? 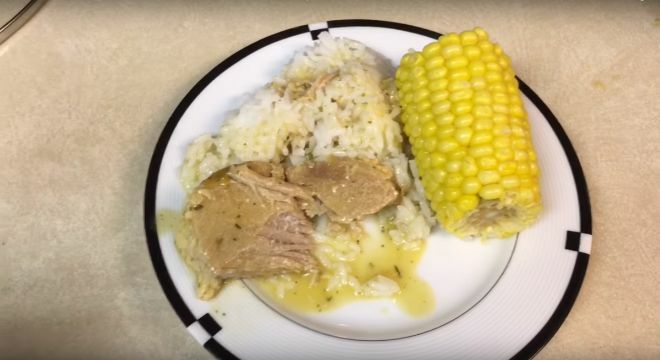 Would you try this pork chop recipe? We want to hear your thoughts. Let us know in the comments below! 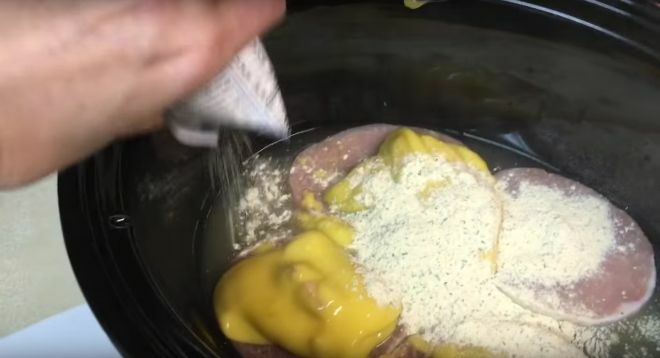 Please SHARE this delicious yet easy recipe for pork chops with your friends and family.